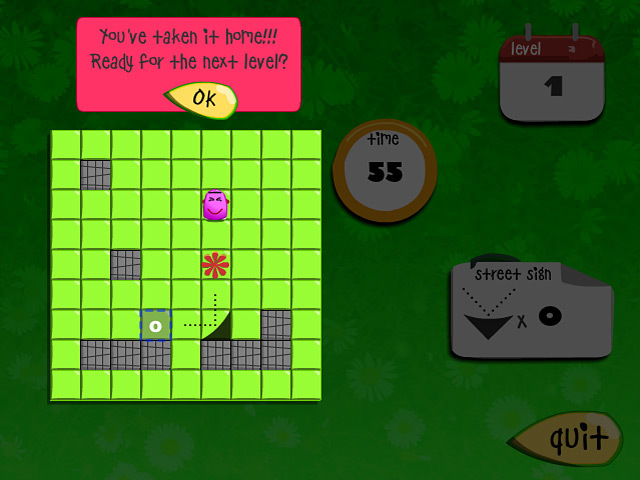 Help a cute monster make his way home in this fun and exciting Puzzle game! Use your wits and time his movements perfectly.Help a cute monster make his way home!Help a cute monster make his way home in this fun and exciting Puzzle game! Use your wits and time his movements perfectly to get him back into his house.